Today I'm glad to introduce to you...Saava! Thanks for reading, and leave a comment below! Copyright © 2012 Julia of Julia Talk. All rights reserved. It's Father's Day~ the special day to thank your dad for all that he's done. What did you surprise your father with? A new shirt? Breakfast in bed? I woke up really early this morning and looked for a quick and easy recipe to try out. At first I wanted to make scones, but I didn't have all the ingredients. Then, I thought about muffins, but I didn't want to take out the beater. I finally decided on shortbread cookies. Today I would like to share with you an animation video I created on the application "Animation-ish". "Animation-ish" is a program that allows you to create your own animation videos frame-by-frame. This program literally makes your drawings come to life. It's so simple and easy to use, so try it out! The animation I created was based on my past post "Droplet's Play Day". 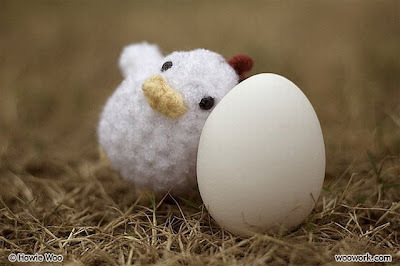 (To see the post "Droplet's Play Day" click here.) In order to create this animation video, I had to draw out over 300 frames. As you can tell, it took me quite some time to create this video, so I hope you like it! The video is a little fast, but I couldn't make it any slower. Please understand. Also, the video may take a few moments to load, so you may have to wait a while. Well, that was my video. Once again thanks for watching, and try out "Animation-ish" if you have some time. P.S. I'm trying to decide whether or not I should do this type of animation video again. Tell me if I should or should not in the comment section. It has been quite some time since I last sat down with you all. Oh well, all that matters is that we are here once again. Today I brought along a cute Peter Rabbit plate and cup set with milk and cookies. Come sit down and have a bite! Thank you for joining me once again. Take a cookie on the way out, and come again anytime! Recently I have been interested in crocheting, and I'm currently learning the basics of crochet. 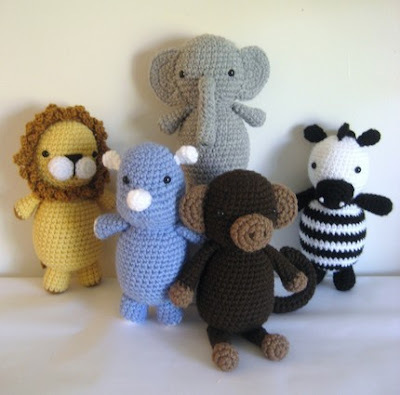 For those of you who do not know what crochet is, it is a craft that many people like to do on their free time. In order to crochet you need the basic materials- a crochet hook and some yarn. The sizes or the hook and yarn depend on what design you are making. 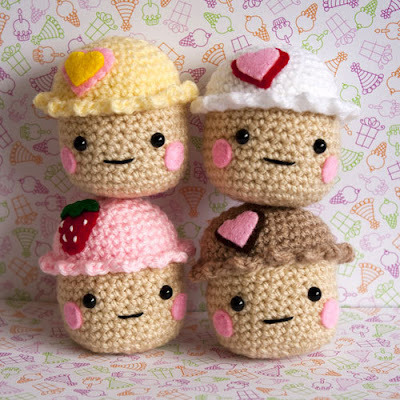 Cute crochet cupcakes by "Cute Designs"
Hi I'm Butler. Nice to meet ya! My name is Buddy, and I get into all sorts of trouble. Read about me on Julia's blog! I'm Baxter T. Beaver. Call me Bax. Hello, I'm Droplet. Read about my travels! Greetings! My name is Berrington. Pleased to meet you. A vanilla ice cream sundae with hot fudge and brownies. Mmm! The always loyal golden retriever. This guy's name is Douglas. Copyright © 2012 Julia of Julia Talk. All rights reserved. Powered by Blogger.